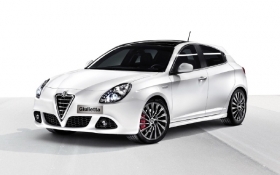 Led by high demand for the Giulietta, Alfa Romeo expects its 2011 global sales to rise 52% to 170,000 units. TURIN – Alfa Romeo, Brazil and light commercial vehicles were the unit-sales bright spots for Fiat S.p.A. in 2010, but strong gains from all three could not stop an overall decline of 3.2 percent to 2,082,000 units last year. Helped by the introduction of the Giulietta compact hatchback, Alfa increased sales 10.2 percent to 112,000 units in 2010. The sporty brand sees its 2011 global sales rising to 170,000 units because it will have a full year of availability of the Giulietta, which Alfa expects will account for 100,000 units of its total this year. Sales in Brazil grew 1.6 percent to 761,000 units, beating the record Fiat had set the year before with 750,000 sales. For the second-consecutive year Brazil was Fiat’s largest single market, well ahead of No. 2 Italy, where the automaker’s 2010 sales fell 13.3 percent to 626,000 units. The Fiat Professional LCV unit increased sales 27.1 percent to 390,000 units last year, nearly reaching its record of 409,000 sales set in 2009. The end of scrapping incentive programs in Europe's biggest markets had a major effect on sales at the Fiat and Lancia brands. Lancia's sales slipped 16.1 percent to 94,000 units and Fiat brand fell 9.7 percent to 1.47 million units. To put Fiat brand's decline another way, it lost 158,000 sales in 2010 compared with 2009. Lancia will begin a product offensive at the Geneva auto show with the launch of the new Ypsilon subcompact, which goes on sale in Europe in June. The brand's lineup also will get a boost from the European versions of four Chrysler models. The Chrysler 300 large sedan and the Voyager large minivan will go in sale by year-end badged as Lancias in mainland Europe and Chryslers in the UK and Ireland. The Chrysler 200 mid-sized sedan and cabriolet also will debut at the Geneva show. The 200 will go on sale in Europe in early 2012. The Fiat brand will use Geneva to unveil the Freemont, a re-badged Dodge Journey. The Freemont goes on sales in June. Fiat's product offensive begins at the Frankfurt auto show, where it will unveil at the third-generation Panda. The updated version of Europe's best-selling minicar will go on sale in early 2012.